I am in my final semester of undergraduate psychology with hopes of being accepted into Honours next year. After my Honours year I hope to either enter Masters or PhD and work in forensic psychology, hopefully at the Alexander Maconochie Centre in Canberra, Australia. I the drama tutor for the Messengers Program. The Messengers Program provides art therapy for at risk youth, who are in year 7 to 10. There are currently four arts to choose from: drama, visual arts, dance and music. I am also the performance tutor and resident writer for the Outreach troupe within this program. The Outreach troupe currently consists of 15 older students (aged 15 to 24) who write plays based on current youth issues and perform these at various locations around Canberra, mostly high schools. I have been involved with the Messengers Program since September 2003, and became the drama and performance tutor at the beginning of 2010. In July, 2010, I made my directorial debut with the steam-punk musical By Her Flickering Light at the Tuggeranong Arts Centre (TCA). All cast and crew were members of Young Performers, a group started in 2009 at the TCA, and aged between 15 and 24. I am currently in the process of writing the musical for 2011. It is entitled 'Whistling, Luck Wishing and Scottish Plays!' “What else could possibly go wrong?” “Did you seriously just say that?” In a very superstitious theatre one must be careful what they say aloud. With opening night looming everything goes wrong. The writer keeps promising the script will be done ‘tomorrow’, the lead actors break up and demand everyone choose a side, and a ghost story sends one of the cast over the edge. With a cast and crew of local youths aged 14 to 24 years and samples of songs from recent decades, this play will smash the fourth wall and show the funny side of disastrous plays. Based on true events and many urban legends of the theatre. Hopefully the cast and crew have a better time of it than these characters. My textbook chapter will look at emotion and mood. I am currently thinking that I will start broad, defining both and the differences between them, then focus on a few specific moods. I am yet to confirm which moods and emotions to focus on, but I am thinking three will suffice. A multimedia speech for mood and emotion is available at screenr. Please note the textbook referenced throughout this page refers to Reeve, J. (2009). Understanding Motivation and Emotion: (5th ed.). Hoboken, NJ: Wiley. Weeks 1 through 6 focus on motivation. The picture above shows ten thousand Australian dollars. I really like history, so the first week of uni is usually fun for me. This week (lecture on 19 August 2010) we were introduced to the topic of Motivation and Emotion (Mot&Emo) and given a brief history of motivation. We were asked what is motivation. To me a lot of the other fields of psychology relate to motivation and emotion. Looking at the two other courses I am taking this semester I find a lot of the experiments can be connected with motivation and emotion. The first example in Social Psychology was an experiment that looked at whether a person would or would not pull over and help someone with a flat tyre if they had just passed someone being helped. That night driving home I passed someone with a flat tyre and shortly after a second person with a flat tyre. Personally, it would not motivate me to help the second person after seeing someone helping the first person. Being female and of small build there is little that could motivate me to pull over and help out a stranger at 9 o'clock at night. In my other class, Learning, I am still trying to figure out what motivated Pavlov to teach a dog to associate a bell with food. A number of questions are posed at the end of the chapter. I like to relate these questions to my life. I think my caffiene intake has an influence on my behaviour. How is behaviour sustained over time? I think positive reinforcement is the strongest sustainable factor for me. If you want my behaviour to continue, give me chocolate. How does behaviour change direction? I think about when I laugh so hard that I cry. I think some just run their course. I wouldn't want to be throwing tantrums like I did when I was 2 in my 20s. Why does a person behave one way in a particular situation and another at another time? I don't think the me that hangs out with my friends would get much done at school or work. There are three grand theories of motivation: Will, Instinct and Drive. Descartes hoped that by understanding will, motivation would unfold. However, in trying to find the will, philosophers only made the situation a lot more difficult. Now not only did they need to explain motivation, but also the motivator (the will). Darwin looked at how animals adapted to environments and proposed instinct. This way, logic is circular - cause explains behaviour, but behaviour is evidence for cause. I think motivation changes in different situations as well as between people. My motivations for going to university and going to work are different - and not just because one pays me and I pay the other. I personally find different lecturers to have different motivational effects on me. Not using names, but there is a certain psychology lecturer who motivates me to do my best. Whereas, there is a certain law lecturer who failed to motivate me to even turn up to lectures. The drive and energy that urges/pushes an individual towards a particular goal through behaviour. Psychological and physiological state that influences thoughts, feelings and behaviours. What areas of Motivation and Emotion am I most curious about? How does personality effect emotion/mood? How do other people influence and individuals emotion/mood? To me, Mazlow's Hierarchy of Needs, pictured right, shows one level of physiological needs, the bottom, and four levels of psychological and social needs, the remainder. I will first talk about the physiological needs discussed in week 3. In week 3 we were informed that the brain not only thinks, learns, remembers, problem solves and makes decisions, but also generates cravings, pleasure, desires, needs and many emotions. Talking about the brain reminded me of Phineas Gage, who miracuously survived an iron pole going through his brain in 1848. Gage suffered severe damage to his prefrontal cortex and became impulsive, rude and vulgar, and seemed unable to make future plans. Learning about the brain and how important it is in noticing and fulfilling our physiological needs made me wonder if Gage had any issues with this. The other person who came to mind, and whether he could notice and fulfill his physiological needs, was Clive Wearing. Wearing has anterograde and retrograde amnesia which means he lacks the ability to form new memories. The textbook gave the physiological need example of thirst. For me, the word thirst has a psychological effect on me, much like the word yawn. So, even though I just finished a bottle of water and the textbook says we get thirsty when our water volume drops by about 2%, I see the word and I'm thirsty. The same thing happened when I read about the physicological need of hunger. Water replenishment - satisfies physiological needs. Sweet taste - incentive value of flavoured water. I would like to note that I drink because I know that if I don't I get headaches, which could fall under the category of water replenishment, but I believe it to be a fourth reason. I also learned that there is no scientific evidence behind drinking eight glasses of water a day. However, as eating is generally a social occasion, we eat more when with people than when by ourselves. This makes me think of Thanksgiving. My mum's side of the family is American, so her brothers and their partners come to our place for Thanksgiving every year. The entire weekend we eat and drink far too much, yet we always have room for pecan pie and whipped cream. The text book says that people tend to eat 50% more when in the presence of others than when eating alone. I think I eat far more than that over the Thanksgiving weekend. I do question the textbook stating that your chances of becoming obese increase by 50% if you have a friend who is recently obese. A documentary on the SBS earlier this year, which I cannot find a reference to, said that some people are genetically predisposed to being skinny. Ten people who had to triple their calary intake and eat less healthy food than usual over a month did not even gain 5% of their body mass. I did find it interesting that 4% of adolescent males and 2% of adolescent females would not classify themselves as heterosexual. I thought the statistics for females would be higher, especially for having homosexual experiences, from my contact with teenagers at work. Also that evolutionary psychologists believe that genes are equal or stronger than rational thought in determining sexual behaviour. There are also studies that support the theory that men want young, attractive mates whereas women want powerful, high status mates. On the other hand, the remaining four levels of Mazlow's Hierarchy of Needs, look at the psychological and social needs of people. The second level of the hierarchy is safety. I am yet to encounter this hierarchy without at least one person arguing that safety and physiological needs should be switched. The theory is that a person cannot reach the next level of needs until they have satisfied the current level. Therefore, a person cannot satisfy their safety needs until their physiological needs have been met. The arguement tends to be that when a person is in a life threatening situation they are less likely to care about their physiological needs over their safety needs. My arguement to this is that when people are in need of food, water or a number of other primary physiological needs is safety always thought of? I have heard many stories about what people have done for food that I would think would jeopardise their safety. This is not to say that I do not agree that in some situations safety needs would be thought of before physiological needs. In my opinion, these two levels could change depending on the situation. To me the third and fourth levels of Mazlow's Hierarchy fit well together. I find my self esteem to be closely related to my feelings of love and belonging. My self esteem goes out the window when I feel my relationships with friends and family are not what I want them to be. I have fantastic friends that I don't see much of during the school term as I turn into a hermit. The problem with this is that by the end of the school term my self esteem is not what I would like it to be. The way I counteracted this was to make wonderful friends at university that I have coffee and do other non-uni related things with. This helps a lot with my self esteem, and my friends are fantastic. However, my self esteem is also closely related to my university grades, so my friends have to deal with me if my grades are not what I thought they should be. I am yet to meet a person that I would think of as self actualised all the time. I do beleive that self actualisation can be met by most people, but that there are situations when it cannot be met. Most of the situations I think of would be a failure to meet lower levels of Mazlow's hierarcy. For example, I get very grumpy (to put it nicely) when I am hungry or tired, so I'm not thinking about morality, creativity or accepting facts when in these states. This week in tutorial we first looked at where different parts of the brain are physically located (see Tutorial 2). I am terrible at finding different areas of the brain. I tend to be okay at the lobes; temporal, occipital, frontal, parietal. It's the specific areas of the brain that I have difficulty with. However, I got some ideas for my textbook chapter in this tutorial. I decided to add a section on the brain and mood. In this section I will talk about areas of the brain that are linked to mood. I will also talk about neurotransmitters that are linked to mood. Dopamine is released when anticipating future pleasant events. Dopamine release decreases when events unfold worse than they were expected to. Dopamine release continues if things go well. Dopamine release increases when things go better than expected. I am still not sure if I will talk about how hormones can effect mood. Finally, in tutorials this week, my group brought in the outline of our textbook chapters. JennyJ and Jmcb were a great help in giving me more ideas for what to write about. We discussed me adding a section on what can effect mood such as illicit drugs, mood stabilizers as well as caffeine, tobacco and mood disorders. I also came up with some focus questions for my chapter: What is the difference between mood and emotion? How does personality effect mood and emotion? How do other people influence an individual's mood and emotion? If you are interested, JennyJ is writing a chapter on Emotion and Empathy and Jmcb is writing a chapter on Emotion Management. Intrinsic motivation (IM) is the innate tendency to engage in one’s interests and to implement one’s abilities and, in so doing, to obtain and master optimal challenges. Psychological needs and ‘inherent strivings for growth’ cause IM to emerge spontaneously (Reeve, p111). Extrinsic motivation (EM) occurs due to environmental consequences and incentives, for example money, food, tokens, praise, approval, smiles and public recognition. The consequence must be separate from the activity itself. The way I get my head around these two concepts is to think of IM as an inside the person push and EM as an outside the person push. This week we learned, yet again, about reinforcers and punishers and how they can be postive or negative. A reinforcer is a condition used to increase a behaviour, whereas a punisher is a condition used to decrease a behaviour. Both can be positive by adding a stimulus or negative by removing a stimulus. In my therapeutic jurisprudence law class I have learned that if a person feels the reward or punishment does not meet the behaviour the conditioning is less likely to be effective. So, it is the question of whether the punishment fits the crime. If a person is given $50 whether they get a C, D or HD they are more likely to go for the easiest option, a C, than strive for the higher grades. Also, if a person is given a 10 year prison sentence for speeding once and feel this is excessive they are less likely to not speed in the future. I know it's a double negative, but it does not make a person more likely to speed, just less likely not to speed, which to me sounds like the same thing. I put a lot of pressure on my self and set many goals. I find it important to help out people at the Tuggeranong Arts Centre, so this year I have helped out with a lot of performances and the Tuggeranong Moon Festival on the 30th of October. I have already been told I have the lead role in Pirates of Lake Tuggeranong next year by the head of the centre and will be assistant director on Reverend Periwinkle's Christmas play because I have been asked. I'm also going to make a quilt to be auctioned off next year to make some money for the Messengers Program. I set the goal a while ago to get into Honours for Psychology in 2011 and to get first class Honours. Chapter 8 was about goal setting and goal striving. The four elements in the cognition --> action sequence and their motivational significance were discussed: plans, goals, implementation intentions and mental simulations. I have many plans that either do not or have not yet become goals. The first example that I can think of is Christmas presents. I plan to buy different people presents when ideas pop into my head, but they do not turn into a goal until I have the money and time to go out and buy said item. I had never really thought of it until I read it, but a goal being set does not make it inevitable. When I was 14 my best friend and I wanted to put together a band. For about a month it seemed like our only goal in life. Now, I cannot imagine wanting to be in a band. Many years ago I learned that people tend to believe negative outcomes are due to external forces and positive outcomes are thought to be due to internal forces. Therefore, if a person gets a bad grade on an exam they are more likely to blame it on the difficulty of the test or that their teacher hates them. On the other hand, a good grade tends to be thought of as a reflection of how hard a person studied. I am the complete opposite. If I get a bad grade I blame myself and know that it must be due to not studying enough. However, if I get a good grade, I say it is because the teacher liked me or set an easy exam. There are two kinds of expectancy to do with personal control beliefs. An efficacy expectation estimates the probability that an individual can behave in a particular way (can I do it?). An outcome expectation questions whether once an action is performed will it cause a particular outcome (will what I do work?). Learned helplessness fascinates me because I cannot think of an example from my life that I have experienced learned helplessness. It makes sense to me that helplessness and depression are highly correlated. I'm a very hopeful person. I believe that most situations have a silver lining. In the chapter on the self and its strivings I learned that there are six dimensions of psychological well-being: self-acceptance, positive relations with others, autonomy, environmental mastery, purpose in life and personal growth. I personally believe that I am a high scorer on self-acceptance, being that I have a positive attitude toward myself, accept good and bad qualities about myself, and generally feel positive about the past. Also that I have positive relations with others due to my warm, satisfying and trusting relationships and empathy. I do think I would score in the mid range of autonomy as I am concerned by other people's expectations and evaluations of me, but I still resist social pressures to think and act and have my own personal standards. I am unsure where I would fit on the environmental mastery dimension. However, I believe I have a high sense of life purpose as I have a strong sense of direction and goals in life. Finally, I am open to new experiences and have a sense of realising my potential and have seen an improvement in myself and my behaviour over the 22 years I have been alive. (criteria refered to can be found on page 265 of Reeve, 2009). This week we completed the Learned Optimism test (Seligman, 1991). Most people in the class disagreed with their scores, believing that this test showed them to be more pessimistic than they are. I think this was a true score for me on that day. The day of this tutorial I had been back in Canberra for an hour after spending a week in Geelong watching my grandfather die. I believe I was very pessimistic that day. I hope that my score would rise if I were to do it again. Weeks 9 through 13 focus on emotion. This picutre is Psyche Revived by Cupid's Kiss made by Antonio Canova. This week was very interesting. This may be due to the topic having a lot to do with my textbook chapter on Mood and Emotion. I have to admit that in the lecture I was less taking notes to help with this e Portfolio and more taking notes with new ideas for my textbook chapter. This lecture, as well as Reeve's chapter for the week, helped a lot with my textbook chapter. Are inherent rather than learned or attained through experience. Occur due to the same situations for all people (Age, gender or cultural differences does not stop a person being sad after a personal loss). The expression is unique and distinct (universal facial expression). I think I explained it very well in my textbook chapter. Here is a direct quote from my chapter. Reeve, 2009, notes three main difference between mood and emotion: cause, action specificity and time. Emotions are caused by significant life events whereas moods emerge from ill defined, often unknown, causes. Emotions influence behaviours while mood influences cognitions. Finally, emotions are short lived events that last seconds or minutes. On the other hand, moods are mental events that can last hours or days. In short, emotions are less enduring than moods. Moods are also different from personality traits and temperament, as these last even longer than moods. There are also more classes of emotion than mood. Moods tend to be noted as either positive or negative (Reeve, 2009) whereas Ekman and Davidson's (1994: cited in Reeve, 2009) noted six basic emotions: fear, anger, disgust, sadness, joy or happiness and interest. These six basic emotions can also be noted as either positive or negative. Fear, anger, disgust and sadness are negative emotions and joy/happiness and interest are positve emotions. Mood also differs from affect. Mood is an overall state of being, normally refered to as either positive or negative. Whereas affect is the experience of emotions. Affect is more commonly seen than moods, normally through facial or vocal expressions or body gestures (Watson, Clark & Tellegan, 1988). Affect is generally separated into two groups: normal affect, for example positive and negative emotions, and pathological affect (see table below; Watson, Clark & Tellegan, 1988). I am trying not to write too much this week as this was my textbook chapter. I know that I could go on for a while, but that I should put more effort into the other weeks that I don't know as much about. I am enjoying emotion a lot more than motivation. This is not to say that I didn't enjoy motivation, just that I was really looking forward to emotion all semester. I got some bad news last night. One of the teenagers that I tutor at Messengers has been cutting herself. I really don't understand why people cut themselves as I have never had the urge to do this. Although, I do yell a lot, which is my method of getting out my frustrations and stress. My mum and I are pretty good at that. We rant at each other so we don't say something we'll regret. The art therapy specialist at Messengers made a good comment about depression and suicidal ideation: it's not that the person wants to die it's that there is a part of them that they want to kill. I think this is a good point. My other source is facebook. I know, less reliable, but there is a page entitled "depression is not a sign that you are weak but that you have been strong for too long." I believe this to be a sign that mental illness is nothing to be ashamed of. I think there is too much mental illness stigma in the world. I know many people with depression. A lot of the people at Messengers have had depression at some point in their life. A few of the participants have Asperger's syndrome. I hate that I can't just say to this girl that cutting yourself is stupid and you need to stop and for it all to be fixed. I want to help her, but I want her to stop more, which is a problem because if I'm focused on stopping the behaviour and not helping the problems that cause the behaviour then I won't help a whole lot. I just don't understand cutting. I found the section on managing emotions interesting. In working with at risk teenagers I can see many different displays of the same emotion. Using anger as an example, one of the participants talks things out in an angry voice then goes back to being happy, another punches walls then moves on and another leaves the room when angry. I then also think about professionals who have to manage their emotions, such as police officers, hair dressers and flight attendents. I also think teachers or anyone working with children need to have strong emotion management. I think all the staff members at Messengers at one point or another have said that they just want to comfort students and shelter them. I know most of us have wanted to take participants home. However, we can't show favouritism and it would be inappropriate and against our contracts to take students home with us. A textbook chapter was written by Jmcb on emotion management. This week in tutorial we started out by splitting into small groups and trying to first define what an emotion is and then which, out of 211 words, were emotions and which were not (see Specific Emotions). My group consisted of Matt.long, I.REID and AlEdwardson. In the end I think we ended up with six main emotions and sub categories: happiness, sadness, anger, terror, confusion and apathy. I'm still not convinced that apathy is an emotion. I think boredom, which was in the list of apathy, is more a state of being than an emotion. I like the theory that some emotions have branches off them. In our Q-sort, happiness had four branches off it: love, amusement, hope, calmness and forgiveness. Anger had a branch for jealousy and confusion had branches for nervousness and surprise. I think most of the groups in our tute had branches in their Q-sort. It was I.REID who decided to draw on the table with whiteboard marker. I was worried that it wouldn't come off. Luckily, Matt.long, AlEdwardson and I were able to clean it off. More photos of our groups Q sort can be found here. Next we completed the positive and negative affect schedule (PANAS). It is a 20 item self report questionnaire on a 5-point Likert scale (1=very slightly or not and all; 5=extremely). There are 10 positive and 10 negative items on this questionnaire. The items and my scores can be found in the below table. A longer version, the PANAS-X, is also avaliable. The PANAS-X is a 74-item self report measure on the same 5-point Likert scale as the original (Watson & Clark, 1994). The PANAS-X not only has the 20 positive and negative items in the PANAS, but also eleven other scales for the remaining 54 items. Both measures were constructed so each item held high factor loading on the selected scale, such as positive affect, and near-zero factor loadings on all other scales (Watson, Clark & Tellegan, 1988). An example of the PANAS can be found here (see the bottom of the fourth page). I am a generally happy person. I don't know what it is about me, but I'm nearly always in a good mood. Maybe it's because I act and can get my frustrations out through different characters. Maybe it's because I write and can make other people experience my life. 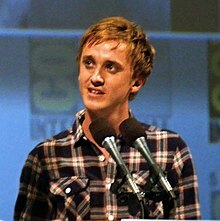 I read an article this week about Tom Felton who plays Draco Malfoy in the Harry Potter movies. He was saying that he loves to play bad guys because he gets to yell and fight and stomp around set and then he gets to go home and have fun because all the anger is out of his system. I would love to see more experiments done on actors and how acting effects mood and emotion. I know that a few studies have been done on method actors. Method actors take hours to get into character. They change their whole physicality and mind set to become the character. Method actors have higher rates of heart disease and stress related issues than other actors. I can't be a method actor. I don't have the discipline or inclination. I prefer to put myself into the character. The thing that confuses me even further is that I am a very active person. I love to jump around and have very expressive arms when I talk. However, I hate exercise. I do not understand why people go to the gym or for runs or any of that. I have a friend who goes to the gym to wind down. If I want to wind down I watch television or read a book. Reeve notes three facets of extraversion: sociability (preference for and enjoyment of other people and social situations), assertiveness (tendency toward social dominance), and venturesomeness (tendency to seek out and enjoy exciting stimulating situations). I am a very social person. My parents have always joked that I would die if I spent 24 hours without talking to another human. I am also assertive and would think that I am also high in venturesomeness. I am always thought of as an extraverted person, as well as a happy person, so it doesn't surprise me that an association has been found between extraversion and happiness. Risk taking is something that I tend to not understand. Whenever I read about risk taking behaviour it always refers to examples that I know I will never partake in: drugs, gambling, and extreme sports. My parents have always said that I am x going on thirty. I remember when I was in primary school and my parents would have dinner parties with their friends and their friends' children. I have always preferred the company of people older than myself. So I would talk to the adults and be asked many questions about why I don't go play with the kids. Maybe that is why I've never been interested in risk taking behaviours. It might also have something to do with me having a fear of nearly everything: needles, heights, domesticated animals, clowns. But I like to think that it is because I am happy with myself and my life and do not need high adrenaline behaviours to increase my happiness. I remember my first psychology class in high school and talking about Freud's theory of unconscious desires and dream interpretation. I thought my dream about being locked in a school with my friends and being chased by vampires was a sign that I had been watching too much Buffy the Vampire Slayer. However, accorded to the teacher's dream analysis book it was due to a subconscious fear of change. I am yet to be convinced that dreams are any more than over active imaginations. I remember a previous drama tutor who mentioned a study she had read that stated the people who frequently partook in the arts were less likely to remember their dreams. She seemed to believe this was due to artists depending on their over active imaginations throughout the day, and therefore not needing to exercise it at night. I disagree with this as children tend to be very imaginative yet also have many dreams. I remember primary school and everyone playing the "don't think of a purple elephant" game. This section made me think of false memories. I think it was the 1980s when hypnosis was a very popular method of uncovering repressed memories. However, there was a string of "remembered" memories of childhood abuse and even being forced into satanic cults by parents, but no further proof was found. This week we completed the sensation seeking scale in the tute. I found it a little out of date. Item 12 is to do with 'swingers' which I don't think is a term used very much these days. Item 22 makes you choose between 1) "I would like to meet some people that are homosexual (men or women)" or 2) "I stay away from anyone I suspect of being gay or lesbian". Item 32 makes you choose between 1) "A person should have considerable sexual experience before marriage" or 2) "It’s better if two married people begin their sexual experience with each other". Is there no middle ground? Can I not believe that it is up to each individual to make up their own choice? On this scale I scored 0 out of 10 for Thrill and Adventure Seeking, 7 out of 10 for Experience Seeking, 1 out of 10 for Disinhibition, 2 out of 10 for Boredom Susceptibility and a total of 11 out of 40. I tend to live a very routine life, mostly because I have too much going on to have free time to work with. This semester, I'm at uni 4 days a week and work 3 days a week. When I'm not at work or uni I'm usually studying or preparing for work or uni. So I tend to argee with this score. Mostly this week we discussed the textbook chapter. I got a lot of help with mine. I like the group discussion and getting ideas from other people. I've also been looking at other people's chapters to get ideas for mine. As someone who is very anti-computer /internet stuff, I think I've done well. I know other people have done spectacular things that look very fancy, but I just did what I could. I thought it was better to do what I knew I could do than try for something spectacular and it not looking good. I can think of a few situations when people have chosen to supress rather than progress, which would lead to growth. However, I think the majority of people would meet criteria one. I think the rate of honesty would be less than growth. My favourite sentence in the description is "be honest rather than not, expecially when in doubt" (p425). I think this is a good point to make. It is easy to be honest when everything is going well, but what about when it's easier to lie? "Use your intelligence" is an example for criteria three. I would like to think I was good at this criteria. I'm not so good at criteria four. I think I am a defensive person. I am one of the lucky few people in this world who has known for many years exactly who I am. So I think I have met criteria five. Also, actors are taught to "hear the innate impulse voices" (p425), which Reeve notes as an example of letting the self emerge. Finally, I am open to experience. So, I guess I could be thought of as a half self-actualised person, but Maslow doesn't seem to believe in this. 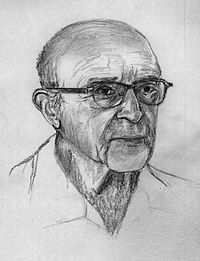 Carl Rogers disagreed with Maslow's theory of a self-actualised person. I disagree with it because I cannot think of anyone who has reached this state and maintained it, which is Maslow's theory. I can think of people who have shown moments of self-actualisation. So Rogers came up with the fully functioning individual theory. Not much is written on this in the textbook, only a short paragraph that does not even take up a quarter of a page. It seems that Maslow's theory is the more accepted theory as there is more literature on it than Rogers. Also, I don't think I had even heard of Rogers' theory of a fully functioning individual until university. Chapter read this week was Conclusion. Week 14 ended on the 19th of November, 2010. I had a lot of fun in this unit. I learned a lot as well, which is a bonus. I do think that writing a weekly journal on this e portfolio helped a lot with the learning process as well. I was a little reluctant at first. After having "wiki is bad" drilled into me for the past five years it was hard to embrace it. Plus I'm not very computer smart, so I thought my page would look terrible compared to everyone elses. It appears it was a learning curve for a few of us. I was also worried about the weekly homework of writing a journal. Mostly because this semester I had weekly homework for two other classes as well and I tend not to function well on other people's schedules. I'm better if told that an essay is due on this day and I can work out my own schedule around that. I still had fun. I found Reeve's textbook easy to navigate and read. I think this is one of the better psychology classes. I have been looking forward to second semester third year throughout my undergraduate course. These three subjects, Motivation and Emotion, Social Psych and Learning, have been the some of the good ones. This week we talked about evil. I would first like to say that I do not believe that anyone is 100% evil. We each got to decide what percentage of human nature and what percentage of environmental engineering created 100% evil. Please note the task was 100% evil from a percentage of human nature and a percentage of environmental engineering, not 'what makes an individual 100% evil?' I think it depends. Matt.long made a good point that you can also think of cases where a person grew up in an exceptional house yet turned into serial killers or other criminals, which would mean evil was more human nature. I can think of Ivan Milat, the backpack killer. The family was poor and according to reports family life wasn't that nice. Yet, his sister turned into a senator in New South Wales, which would also mean more environmental. However, there are also cases of criminals whose biological parents were bad, but they were taken away from them very early, some in the first few days, which could be an arguement for human nature. It could also be an argument for enviromental engineering starting in the mother's womb. After this we discussed Maslow's self-actualisation and Rogers' fully functioning person. I like Rogers' theory more than Maslow's as Rogers believes this to be a process more than a state that one acheives. I beleive that some people show moments of self-actualisation, rather than Maslow's theory that a person is only self-actualised when they achieve it and stay self-actualised. The final task for this week was the sense of coherence self report questionnaire. It was 13 items on a 7 point Likert scale (1= very seldom or never; 7= very often). There are three scales: comprehensibility, manageability and meaningfulness. Comprehensibility was noted by questions such as "do you feel that you can understand things, that things make sense and are not confusing?" Manageability was noted by questions such as "do you feel that things are manageable or within your control, that things can be handled or taken care of?" And meaningfulness was noted by questions such as "do you feel that things are interesting or fascinating, a source of pleasure or satisfaction?" We were given means from a previous thesis for each scale and told that a score above or below .5 of these means tends to be significant. The mean for comprehensibility was 3.96 and my score was 6; for manageability was 4.71 and my score was 4.5; and for meaningfulness was 5.01 and my score was 4.5. This page was last edited on 31 May 2018, at 16:34.